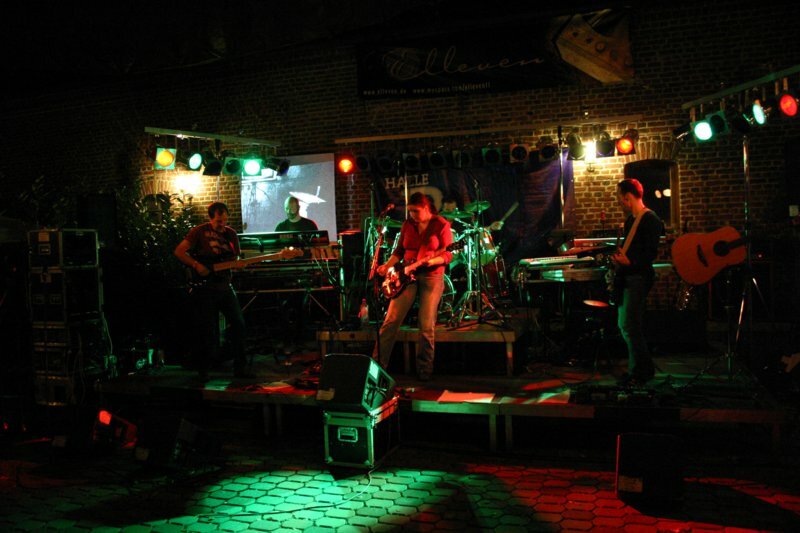 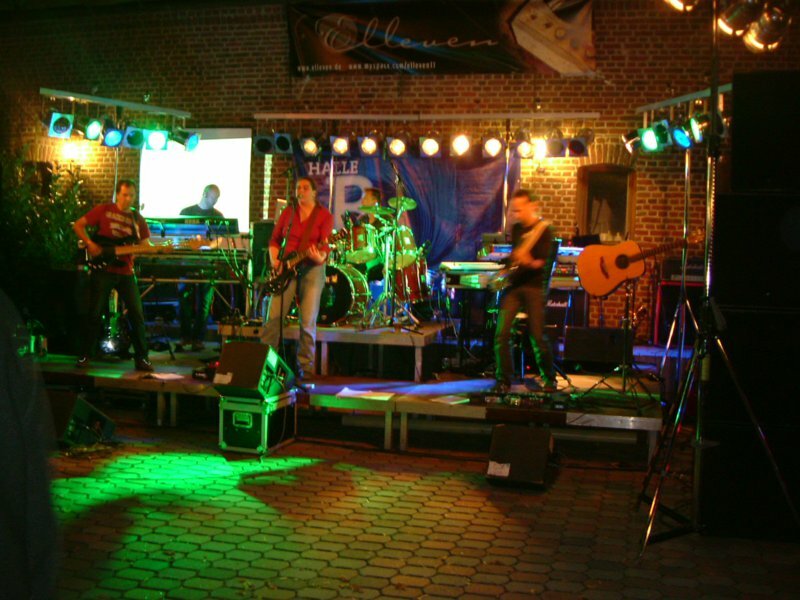 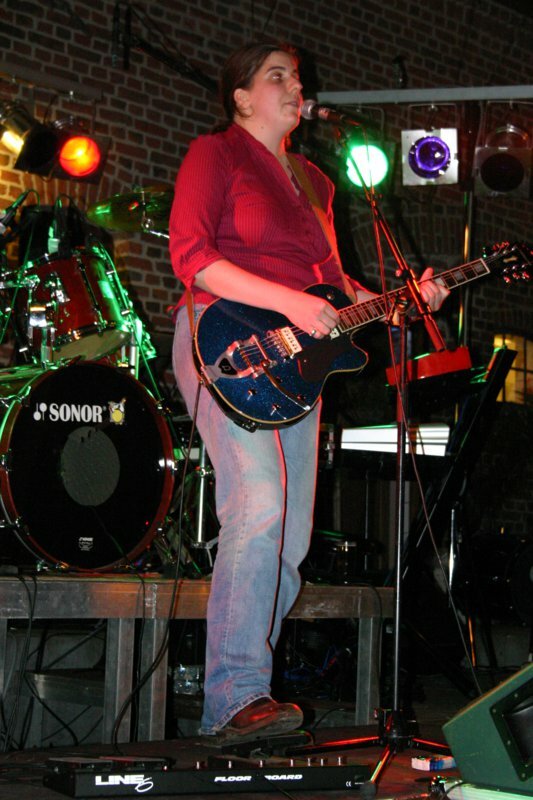 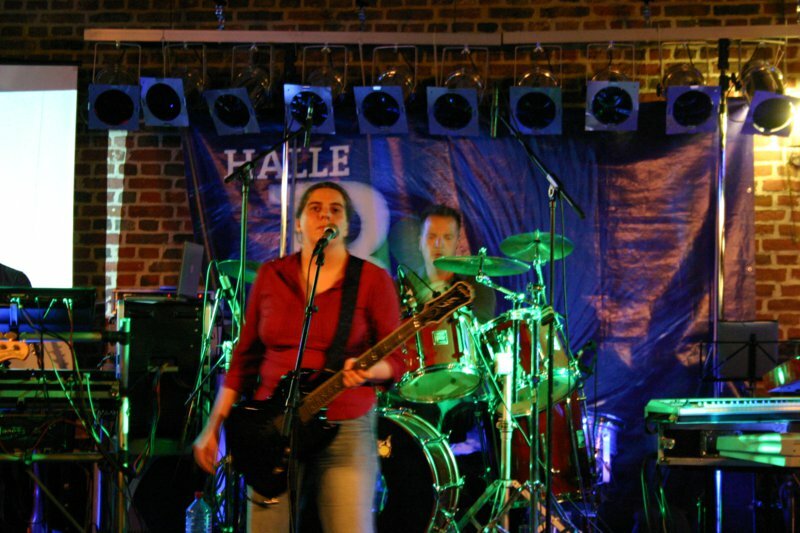 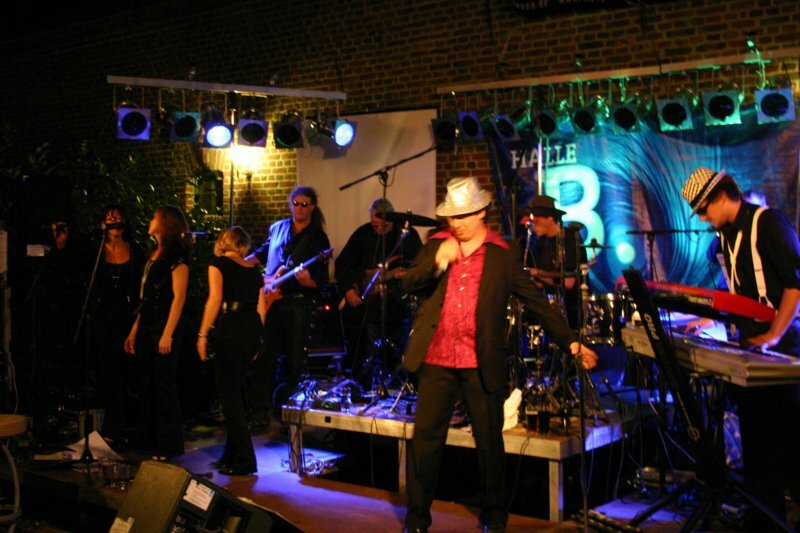 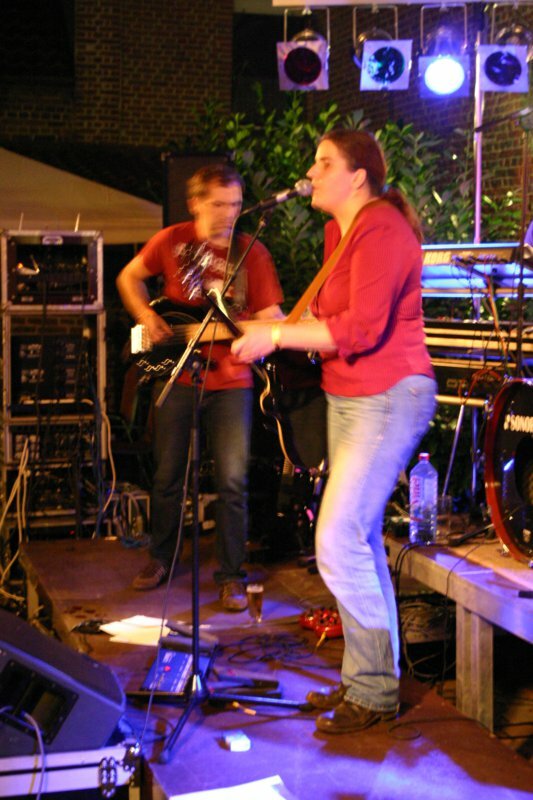 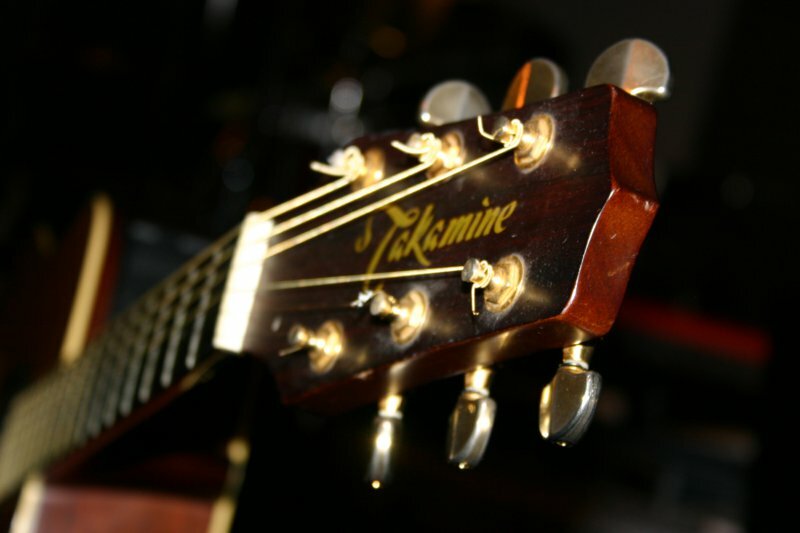 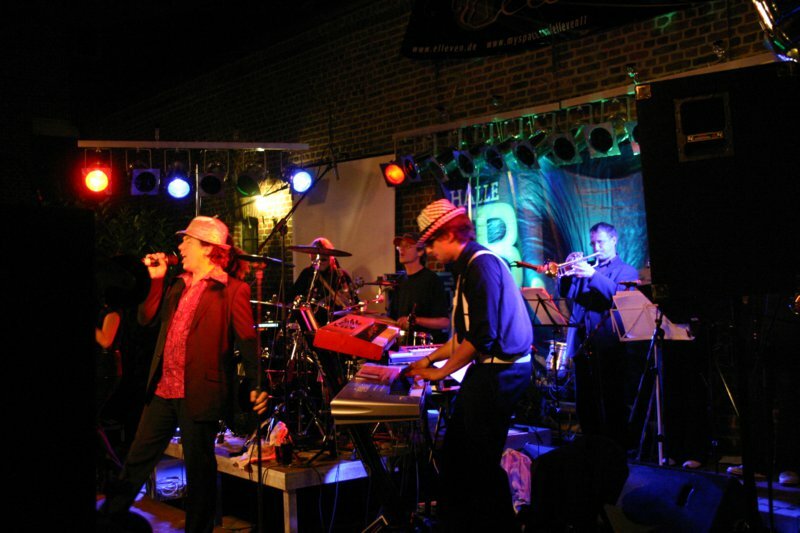 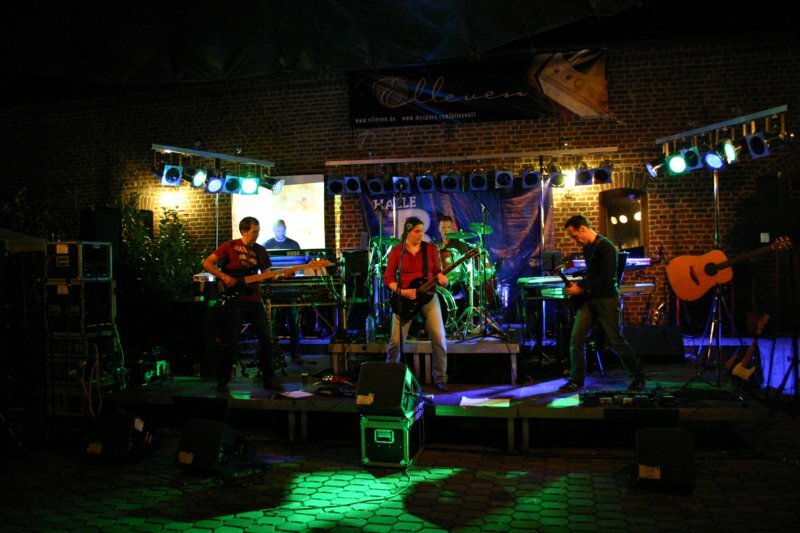 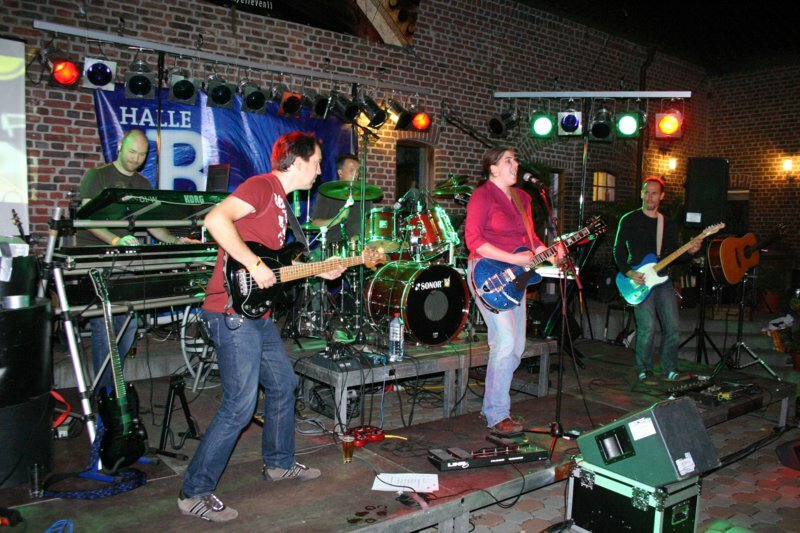 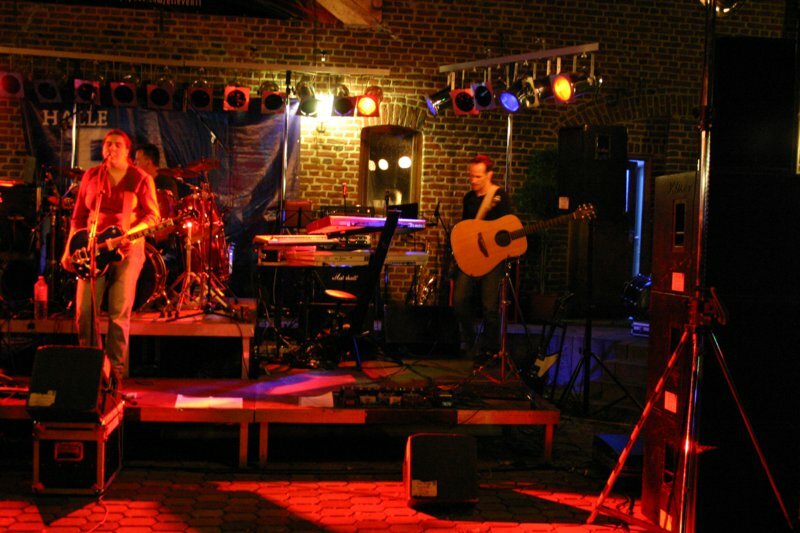 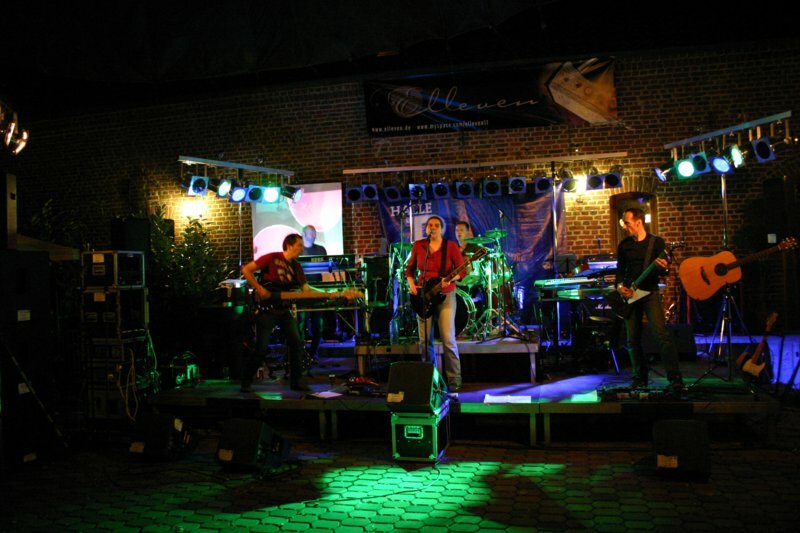 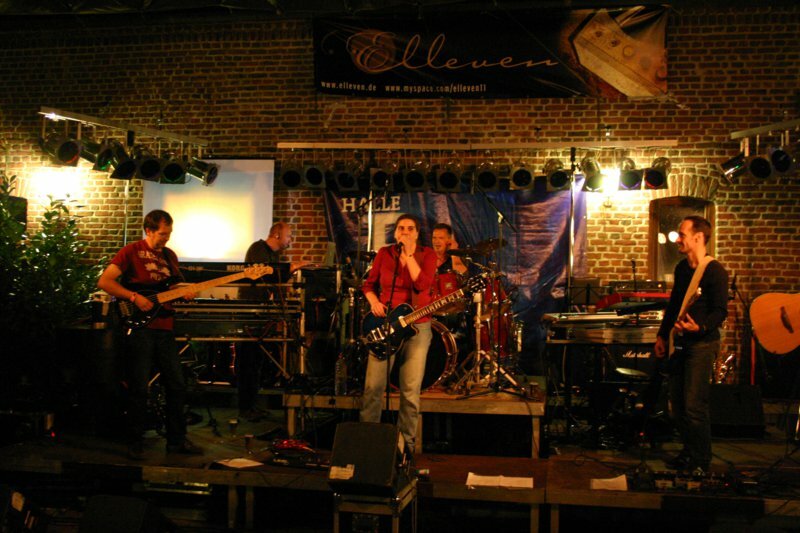 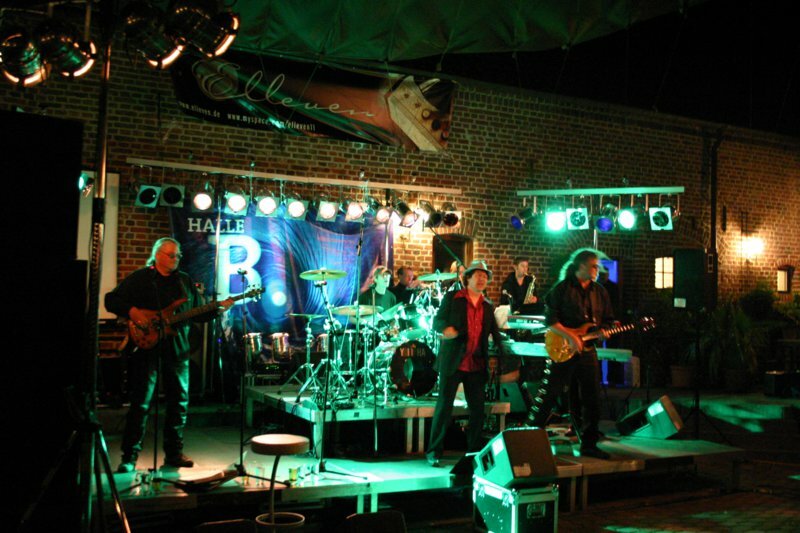 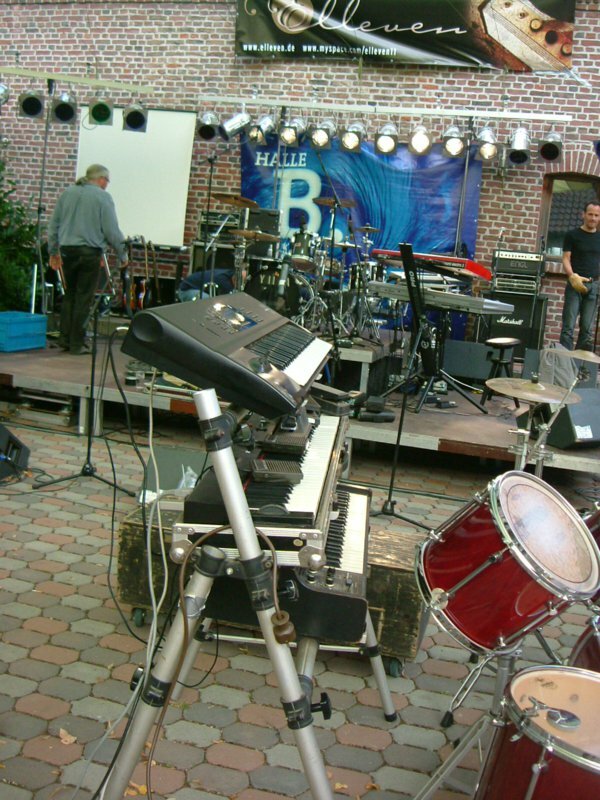 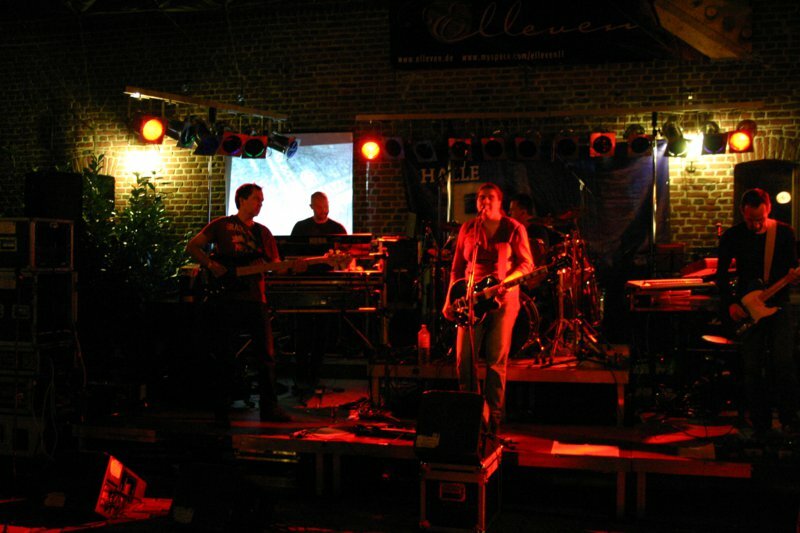 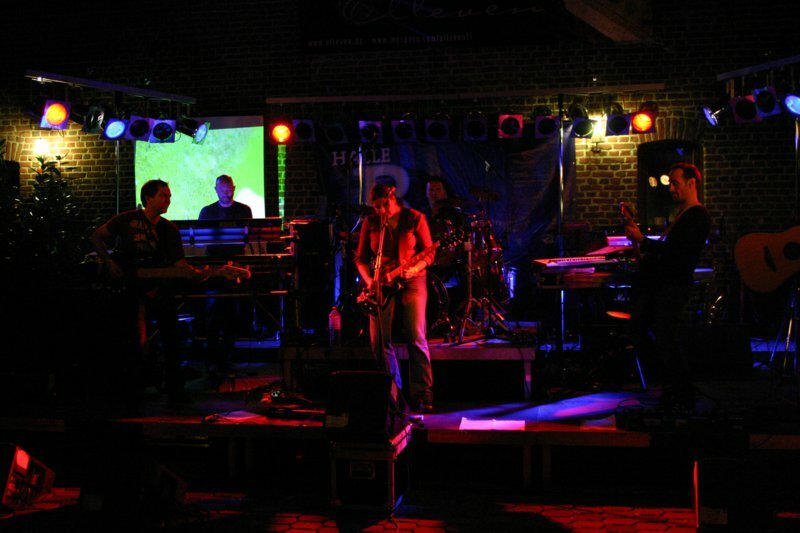 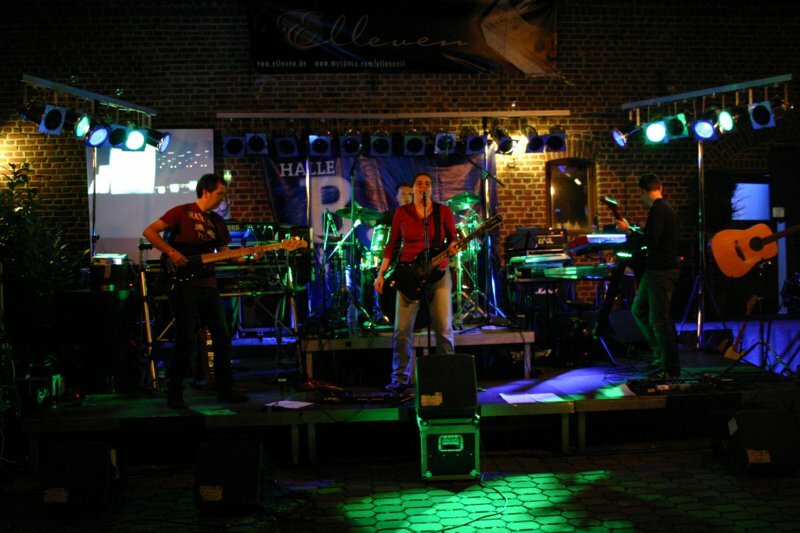 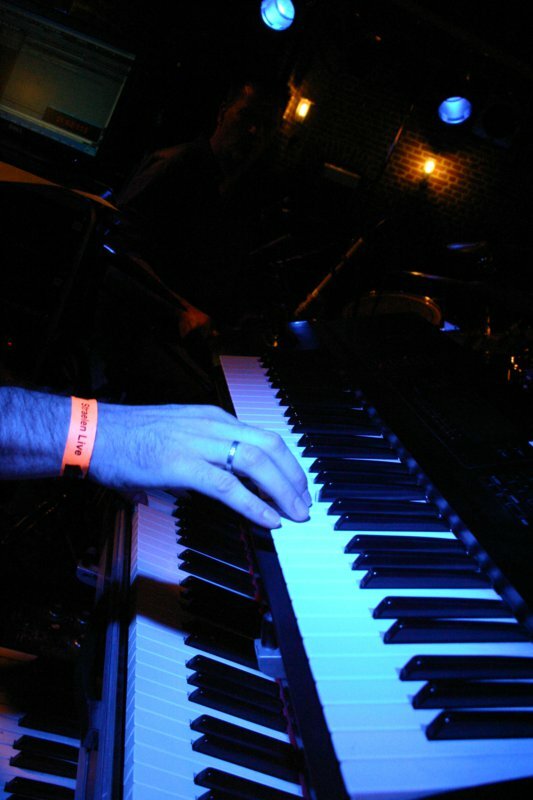 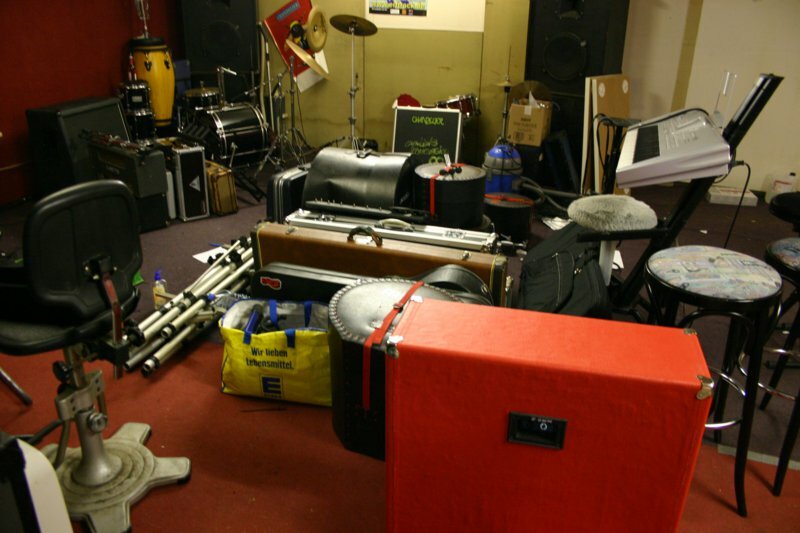 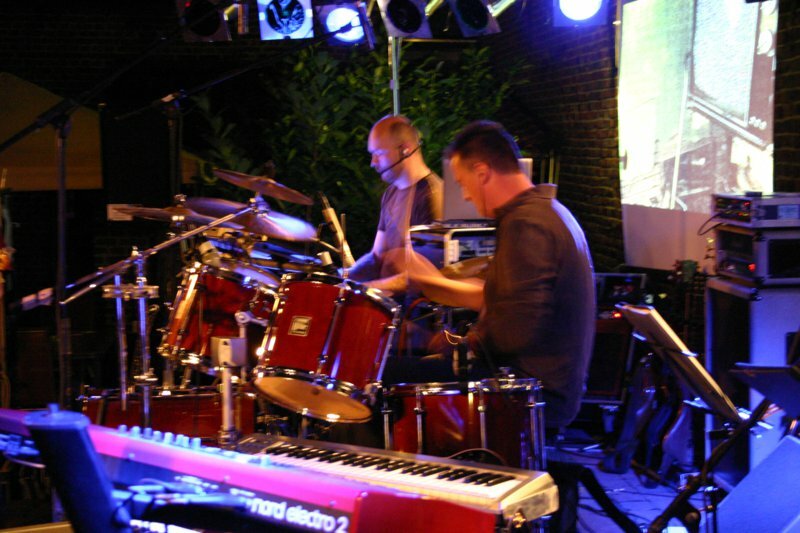 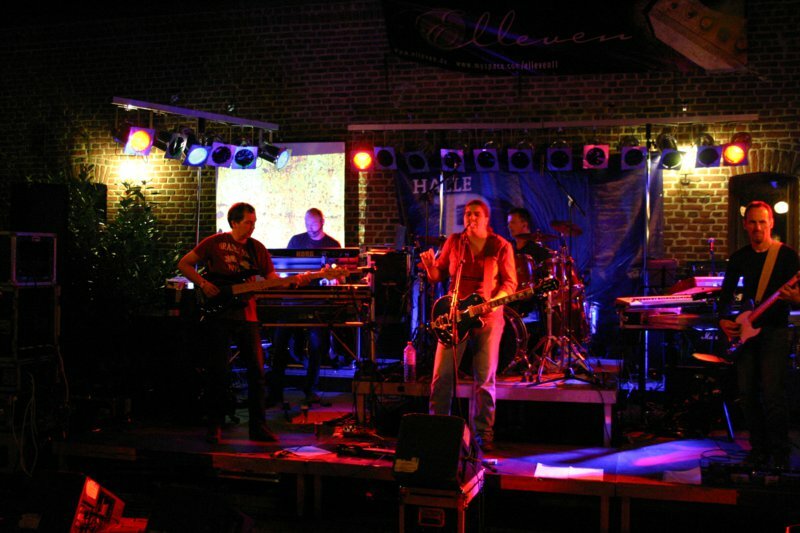 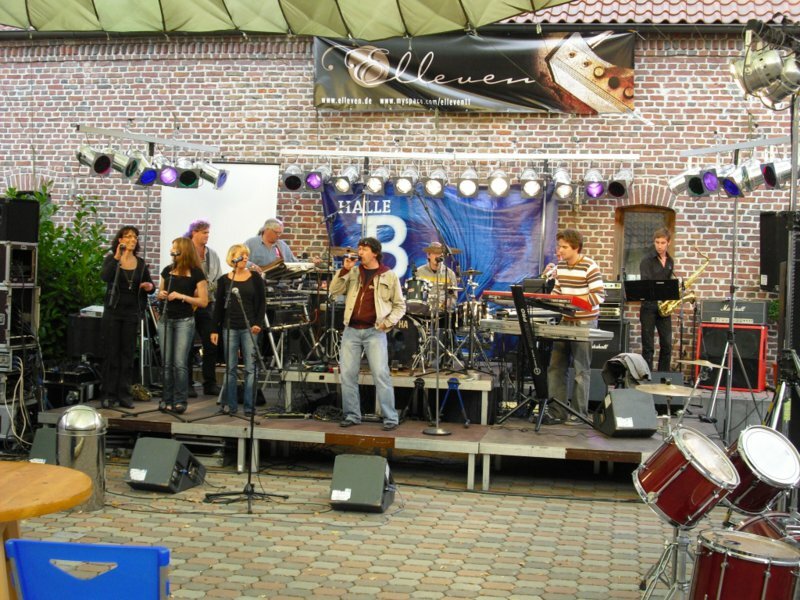 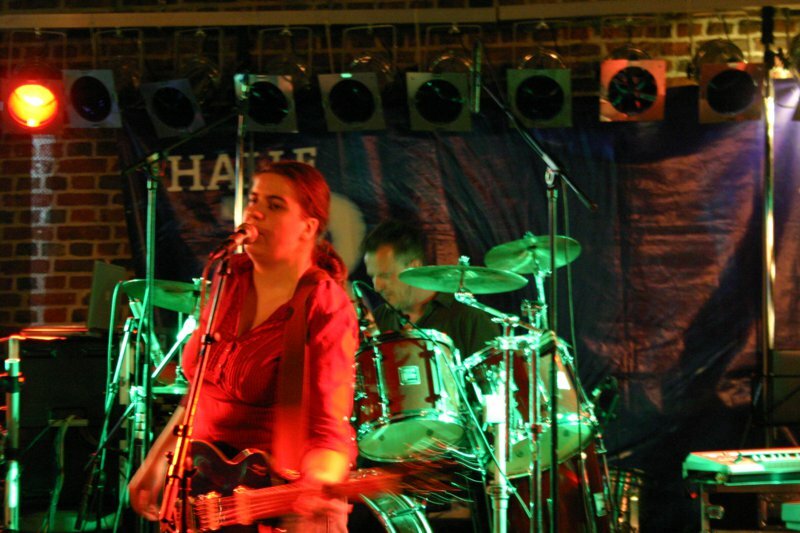 A very interesting live event with 40 band and 20 venues in and around town - that was Straelen 2008. 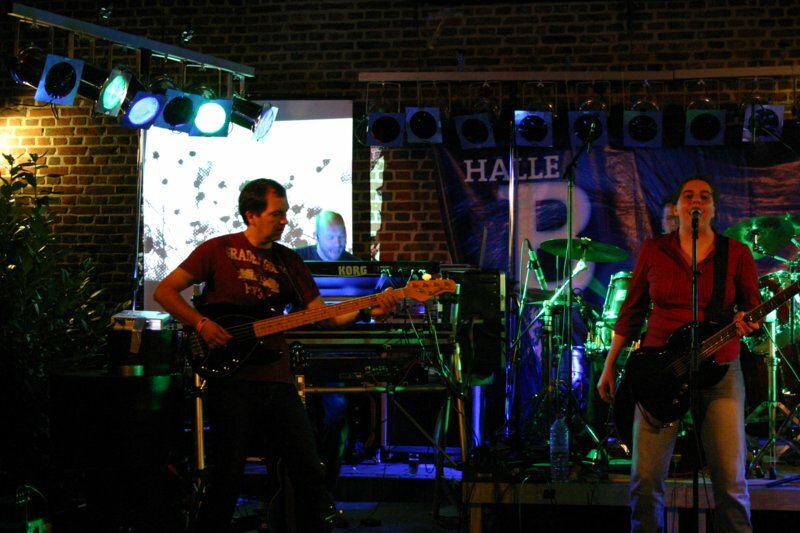 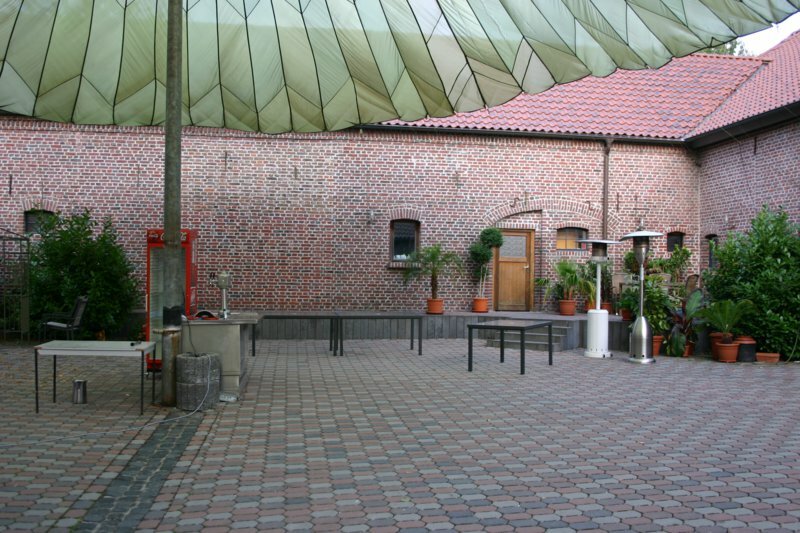 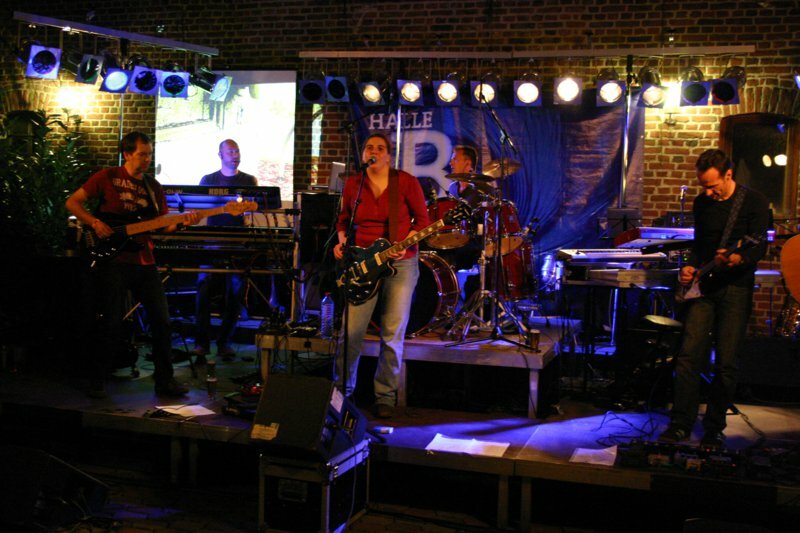 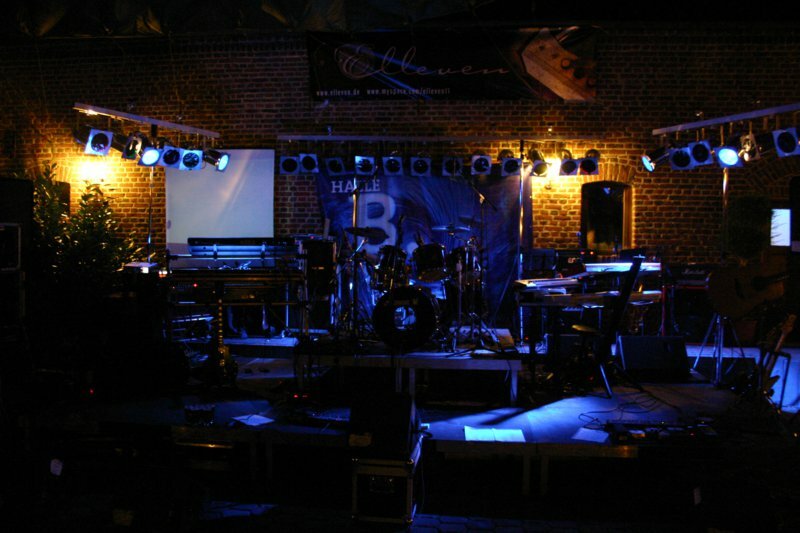 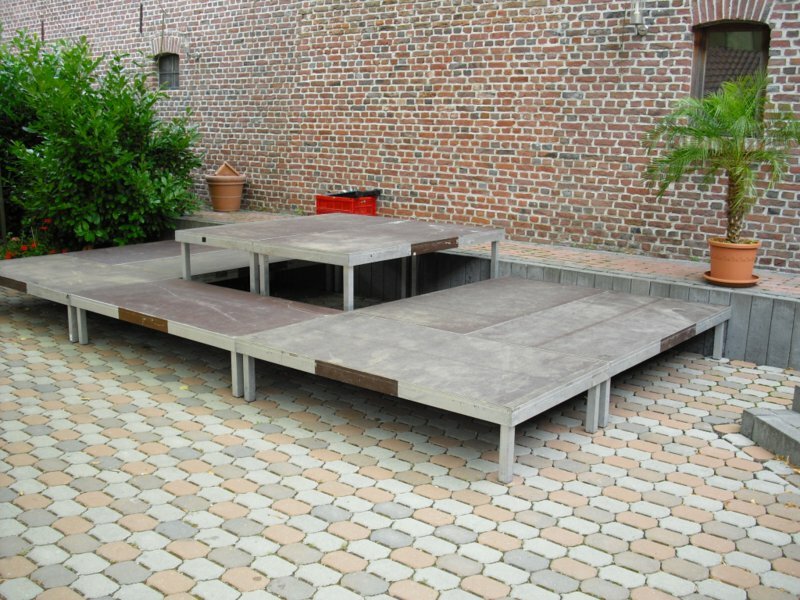 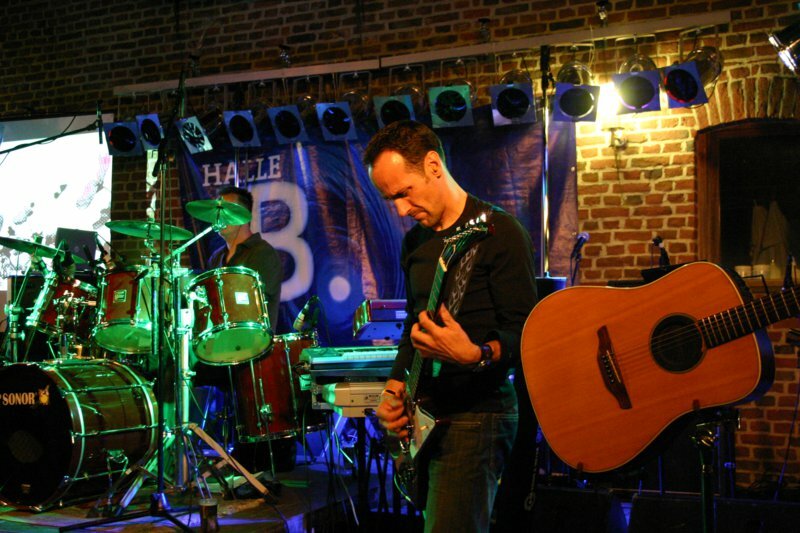 We played the venue Borghs which is a bit out of town together with cover band Halle B. 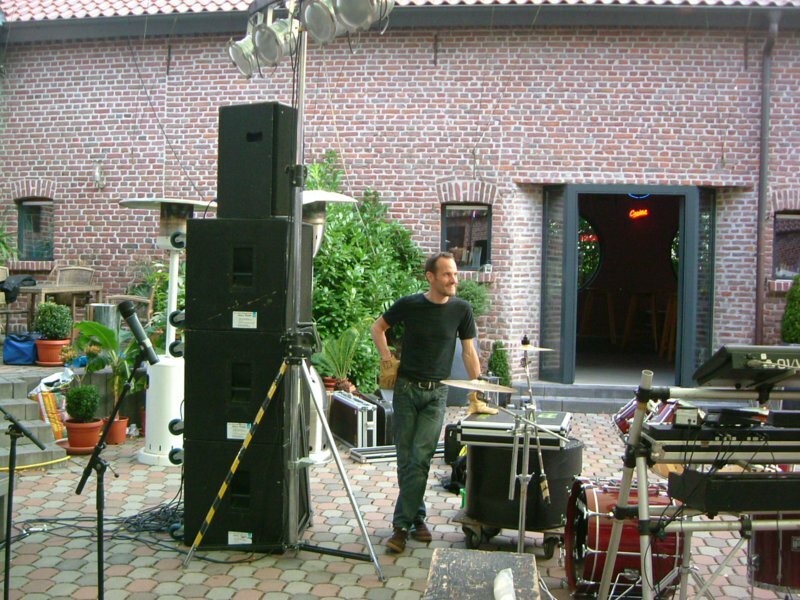 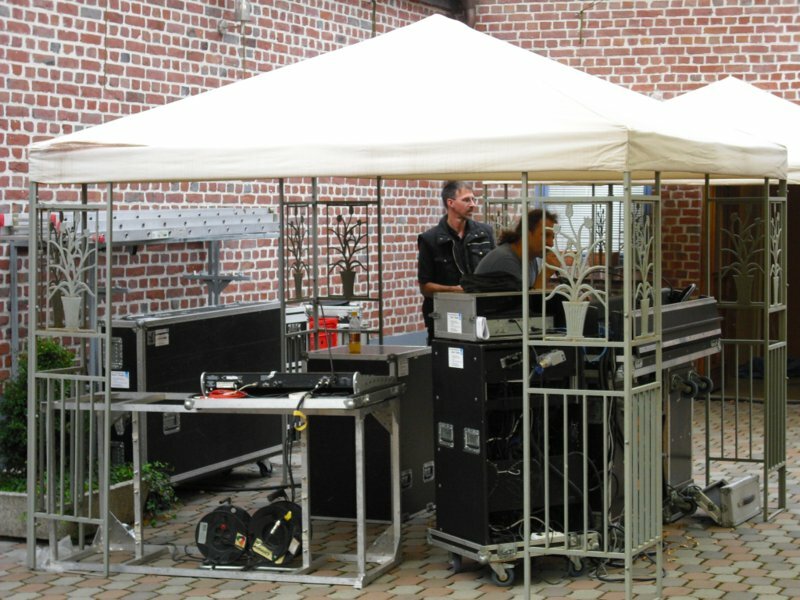 Since the weather was sunny, we decided to play in the yard and turned the gig into an open air event. 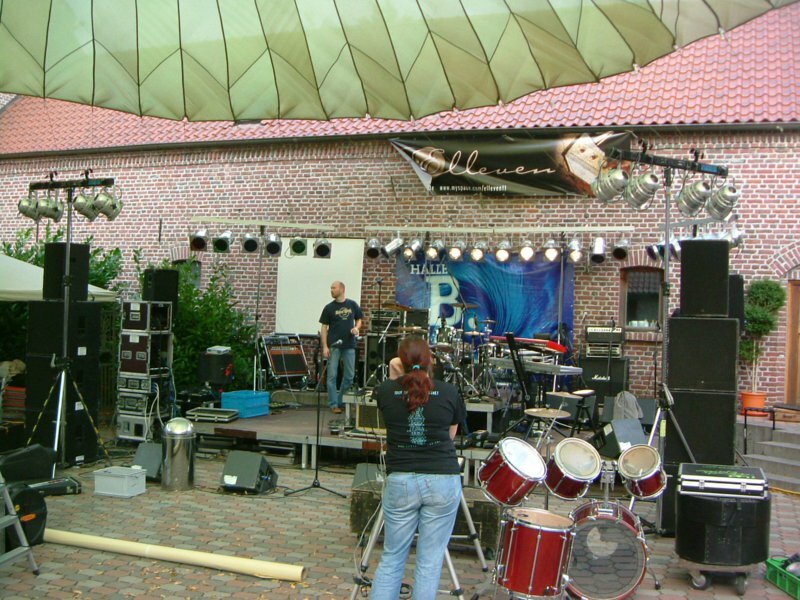 Borghs is an excellent venue. 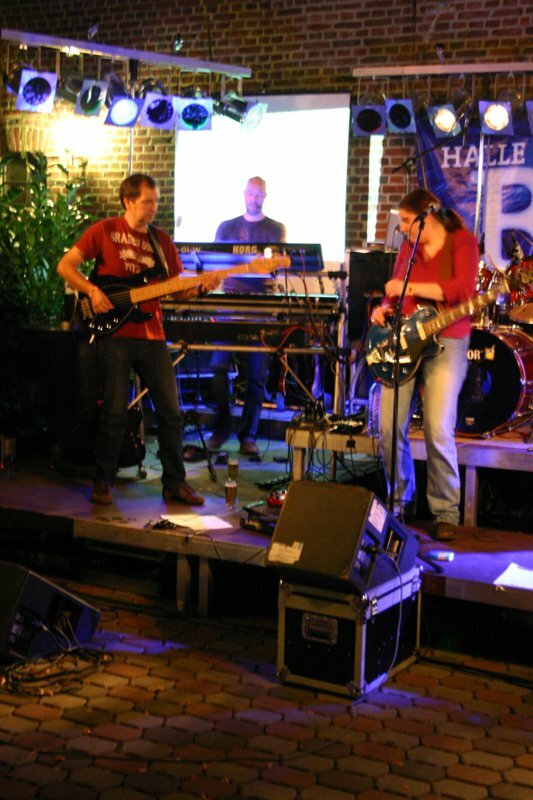 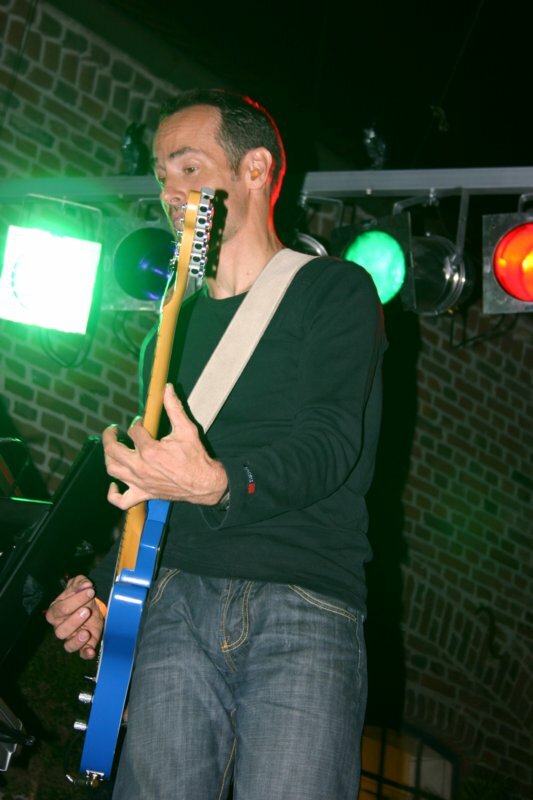 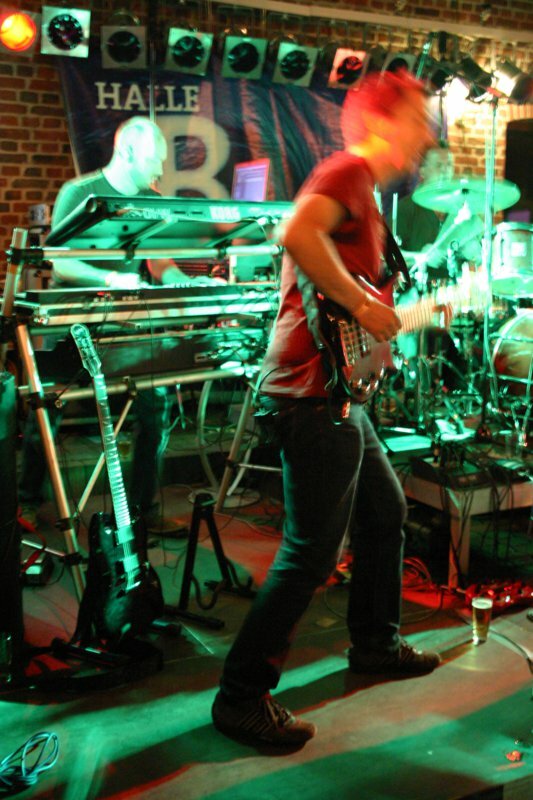 Stephan Scholz supported us on bass again.